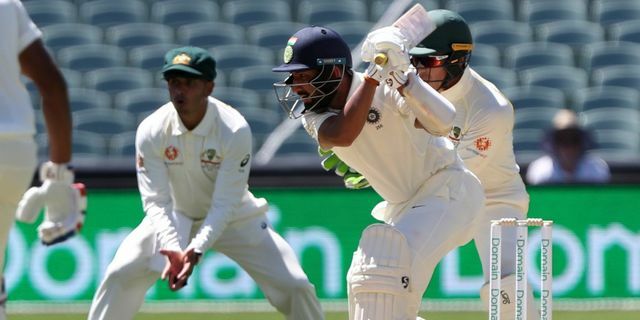 Cheteshwar Pujara hoped India's top-order batsmen would learn from their mistakes on the opening day of the Adelaide Test and put up a far more improved show in the second innings of the first Test against Australia. After opting to bat, India were reduced to 41 for 4 as KL Rahul, Murali Vijay, Virat Kohli and Ajinkya Rahane perished to lose shots against Australia's pacers. And just when Rohit Sharma had settled down, he attempted a hoick against Nathan Lyon and holed out. Pujara had to dig deep and produce one of his finest knocks to give India some kind of respectability - they finished at 250 for 9 at stumps. However, Pujara conceded India's top-order batsmen should have batted much better.